After last week’s victory over the Oakland Raiders, the Baltimore Ravens traveled to Atlanta with one goal in mind. Win. Win to push closer to the playoffs. Win to stay alive. Win to give the team hope. This is exactly what the Ravens did on Sunday, although it was no pretty performance. The Ravens relied on old-school, hard-nosed football, to punch in another win. The effort earned the team a third consecutive victory and improved Baltimore’s record to 7-5. The Ravens remain in sole possession of the second wild card slot, the sixth and final seed in the AFC playoff race. Baltimore is far from clinching the berth, but the win is a step in the right direction, as it increased Baltimore’s chances of making the playoffs. 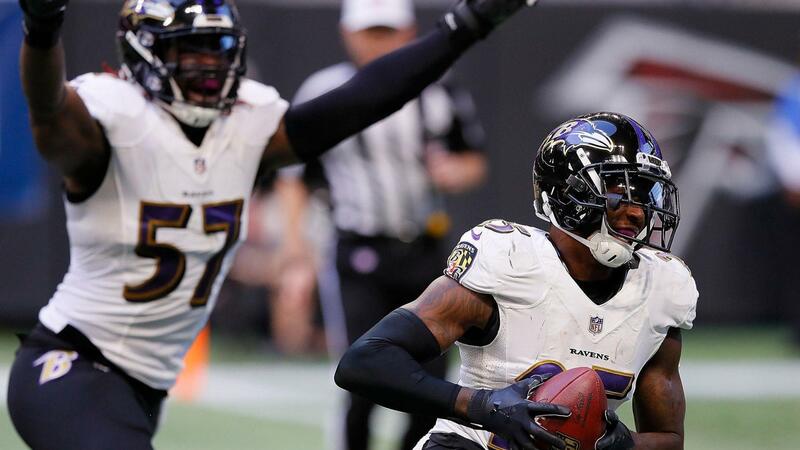 The Baltimore Ravens were in possession of the conference’s six seed at the start of the week and remained in possession after the weekend’s games concluded. Baltimore’s chief competitor for the wild card spot, the Indianapolis Colts, unexpectedly lost to the Jaguars. The Ravens and Colts were both at 6-5 at the start of week 13. The Ravens improved to 7-5, while the Colts fell to 6-6. The Colts loss is crucial to Baltimore’s potential playoff bid. Indianapolis was riding high after a five-game win streak, but the upset loss negates the momentum the Colts had. The loss could prove fatal to the Colts, who have a difficult remaining slate of games ahead. Indianapolis will play the Texans (9-3), the Cowboys (7-5), the Giants (4-8), and the Titans (6-6). On the five-game run, Indianapolis only defeated four losing teams and one .500 team. The Colts have two winning teams and left on the schedule. The Colts loss was the most important domino to fall on Sunday. Aside from this outcome, the Ravens did not get much in the way of help. The Texans defeated the Browns, which officially pushed Cleveland out of any real playoff contention, but the Browns were no real competitor anyway. Besides this insignificant result, the Ravens did not get any more help in the wild card race. Both the Buffalo Bills and New York Jets squandered an opportunity to give the Ravens assistance. The Buffalo Bills fought hard against the 5-6 Miami Dolphins. If not for a Charles Clay last second drop in the end zone, the Bills would have upset the Dolphins and pushed Miami out from realistic wild card contention. The Jets led the 5-6 Tennessee Titans late, but New York could not pull out a victory either. The Ravens have a tie-breaker over the Titans, though, and one more loss will push them to the brink of irrelevancy. Despite the lackluster final scores from around the league, the outcomes on Sunday, specifically Baltimore’s victory and Indianapolis’ loss, greatly increased the Ravens’ chance of making the playoffs. According to FiveThirtyEight, the Ravens now have a 65% chance to make the playoffs. The New York Times is more generous towards Baltimore’s postseason dreams. The publication gives the Ravens a 67% chance to play in January. The Ravens have an increased chance to win a wild-card berth, but Baltimore may now be aiming higher. Just a few weeks ago, most thought that the Pittsburgh Steelers held on to an insurmountable lead over the Ravens in the race for the AFC North Division crown. However, that huge deficit has closed to be a short gap. After losing to the Broncos last week, the Steelers lost to the Chargers. The Steelers, 7-4-1, now lead the Ravens, 7-5, by just half a game. With four games to go, the AFC North is back in play for the Ravens, who have not won the division since 2012. The Steelers have a difficult schedule ahead. Pittsburgh still has to face the 10-2 Saints and 9-3 Patriots. After the Steelers loss on Sunday, FiveThirtyEight downgraded Pittsburgh’s chance to win the division to 71% and upgraded Baltimore’s chance to 29%. The ever generous New York Times increased Baltimore’s chances to 32% and decreased Pittsburgh’s to 68%. Week 13 was kind to the Ravens, as Baltimore seeks to return to the postseason for the first time since 2014. Moving into week 14, the Ravens currently stand at between a 65 and 67% chance at appearing in the postseason this year. The division is also back in play for Baltimore, thanks to a Los Angeles Chargers road victory over the Steelers. The two rivals are held apart by just half a game, and the division could fall into Baltimore’s hands by the end of the year.